Soil Ripping Brings So Many Benefits To Your Soils. One of the most popular and trusted ways to rebuild soil health is through the process of soil ripping. When done by professionals using the right equipment the benefits to soil can be vast. Soil ripping can have long lasting positive effects lasting, in many cases, up to three generations. This makes it an affordable investment for many farms and other concerns who build their businesses around having high quality soil to work with. Soil Ripping Increases Drainage. By opening up the soil and allowing water to move through at a faster rate erosion is greatly reduced. The soil is now able to pass through much more quickly. Boosts Crop Yield Potential. In a great many cases this process greatly increases crop yield. The crops that benefit most are root crops where the change can be quite dramatic. Other crops also see great benefits from the rejuvenated soil after ripping. 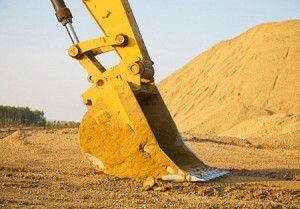 Combats Compacted Soil. Compacted soil is a very serious concern for many farmers. Ripping is a way to get around this problem and bring new life to the soil. Preserves Top Soil. Fertile top soil can be protected through ripping, allowing the ground to be more productively, profitably and intelligently utilized. It is a Scientifically Sound Practice. Ripping soil has been studied extensively and is agreed upon by experts as being a sound and safe way to increase the available nitrogen content in the soil leading to better farming. The process doesn’t harm the environment and is considered a scientifically sound and “Green” practice. 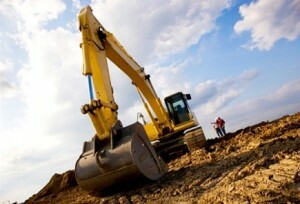 Be sure to always hire an experienced and professional earth moving service to handle this type of work, such as Mansfield Plant Hire Earth Moving Contractors. Their experience can be worth its weight in gold handling the job competently, quickly and at an affordable price. With that in mind, soil ripping is a smart choice for farmers in a great many circumstances.